These analyses portray a more optimistic view in terms of accountability and transparency particularly by bringing to light intra-party politics dynamics. Does the interaction with the opinions of ‘friends’ and ‘followers’ affect the behavior of politicians? So far, little attention has been devoted to the effect of social networking sites (SNS) on ‘hard politics’ choices. Focusing on two case studies related to Italian politics, namely the debate on the civil unions bill and the ‘Fertility Day’ crisis, in 2016, this paper tries to fill this gap assessing the influence of SNS on the behavior of politicians. For this purpose, supervised aggregated sentiment analysis and time series analysis are used to evaluate whether politicians surrender to the pressure put on them by their followers. The findings highlight some positive effects in terms of accountability/transparency, though in terms of responsiveness politics seems to continue as usual, and the road toward a full ‘sentiment democracy’ is still far ahead. Acknowledgments: Liborio Mattina, Marcello Natili, and Furio Stamati, as well as participant at the annual general conference of the Italian Political Science Association, Milan, 15-17 September 2016. 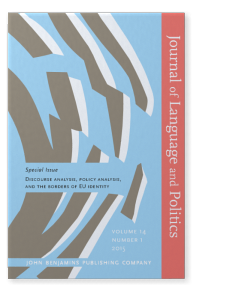 The paper investigates party-union relationships in Italy (1946–2014) by hand-coding parties’ parliamentary speeches and trade unions’ congress motions. In line with the cartel party thesis, a time series analysis shows that the ideological closeness between the left-wing Italian General Confederation of Labour and left-wing parties deteriorated when the Italian Socialist Party (1980) and the heirs of the Italian Communist Party (1998) converged toward the centre of the ideological spectrum. Conversely, the closeness between the Catholic-inspired Italian Confederation of Workers’ Unions and the heirs of Christian Democracy increased after 1994, when the former party’s leftist factions became the major part of the Italian Popular Party. Why does the government appeal for concertation? Starting from the principal‒agent framework and delegation theory, the article argues that the government is more willing to share decision-making power with trade unions when the policy preferences endorsed by the unions are closer to those of the cabinet. Furthermore, it maintains that government propensity to negotiate with trade unions increases as the heterogeneity of union policy preferences grows because the cabinet can exploit its agenda-setting power to divide the union front. The article tests these two hypotheses through a longitudinal analysis of the Italian case (1946–2014). 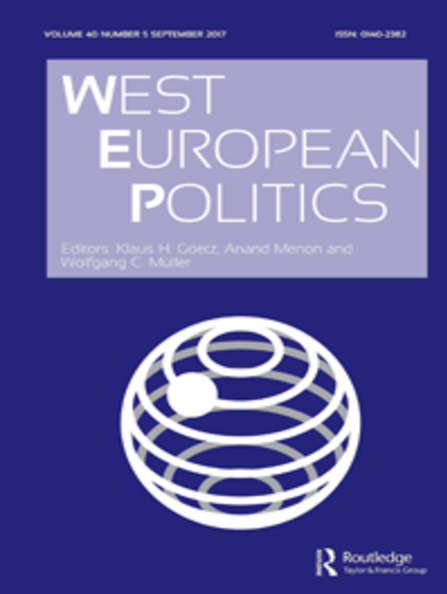 In detail, it takes advantage of two original datasets built through content analysis that provide unique in-depth information on the policy preferences of parties and cabinets and measures the policy positions of the main Italian trade unions, thus allowing assessment of their reciprocal heterogeneity. The results confirm the expectations. To avoid the negative consequences of corruption charges on electoral performances, legislators could adopt an open list system or decentralized intra-party rules, preserving voters’ loyalty by allowing them to select individual candidates. This has implications for the debate on the Italian electoral reform, given that some peculiar rules can limit the rise of anti-system parties when corruption scandals occur. The impact of corruption charges on the electoral performance of parties is conditioned by specific institutional factors. This article shows the extent to which the effects of political corruption depend on the control that party leaders exercise over the ballot. It is argued that voters might abstain or support other lists if they cannot select individual candidates to revitalize the reputation of the political party. Employing data on judicial investigations in Italy from 1983 to 2013, we provide evidence of the role of electoral rules and intra-party candidate selection in shaping the relationship between corruption and voters’ behaviour. Parties implicated in corruption or related crimes experience a loss of votes when they compete under a closed list formula or when the candidate selection process is strongly centralized.